Plus FREE gift, see below. 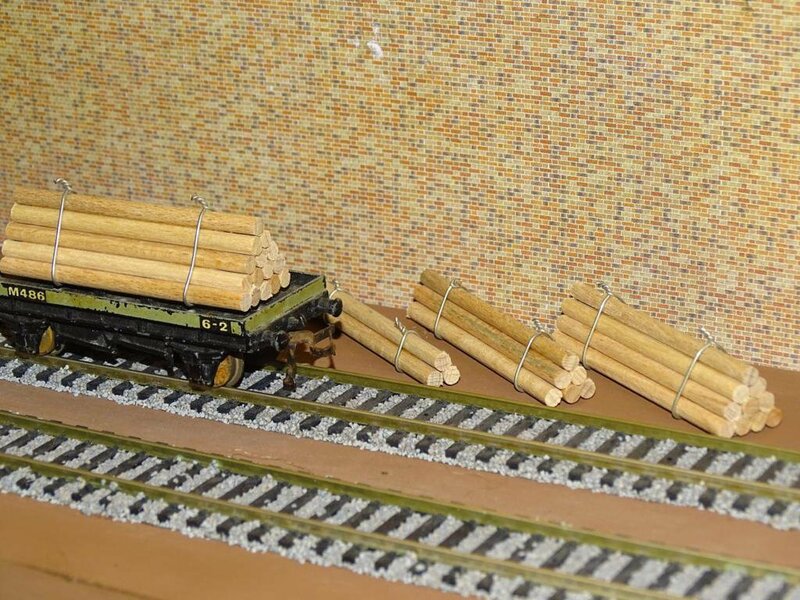 Nice realistic wagon loads Log Piles. Genuine wooden poles tied together with steel wire. For OO / HO Gauge. Looks great on your layout or as a load on a wagon as shown in the diorama. With this listing you'll get 4 loads, 1 of each size. 3 poles, 6 poles, 10 poles and 15 poles. Listing is for poles made as shown only. Diorama or wagon not part of the sale. A set of 4 blank advertising signs, billboards and wallboards. Wallboards, stick on any wall with the supplied tape. Billboards, drill a couple of holes and glue in to place. Supplied blank for you to add your own picture as you wish. See the images of the signs shown on a diorama (not for sale).